Billionaire Boys Club was established in 2005 by Pharrell Williams [of The Neptunes & N.E.R.D fame] & Nigo [Founder of A Bathing Ape]. The infamous 'Starfield' pattern (originally created by Japanese Designer SK8THING) was an obvious choice for our collaboration. 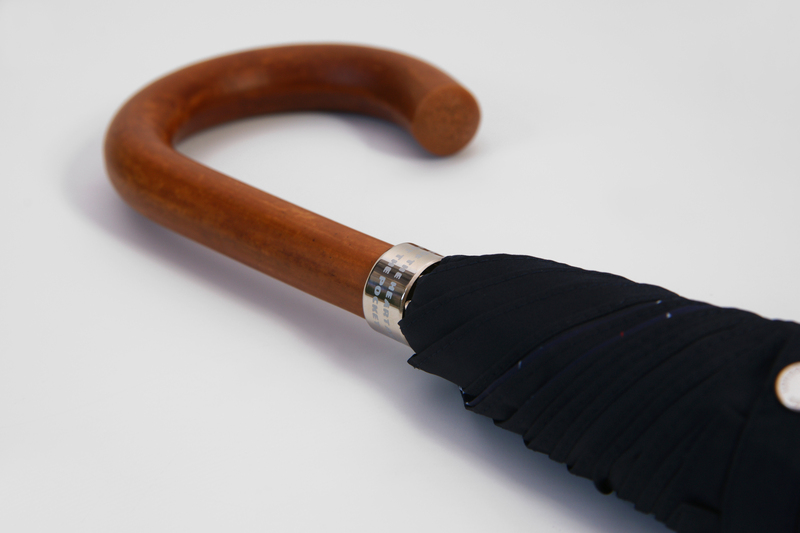 The end result is an incredibly striking piece with a Dark Navy Exterior and Starfield Interior on our much-loved City Gent Umbrella. 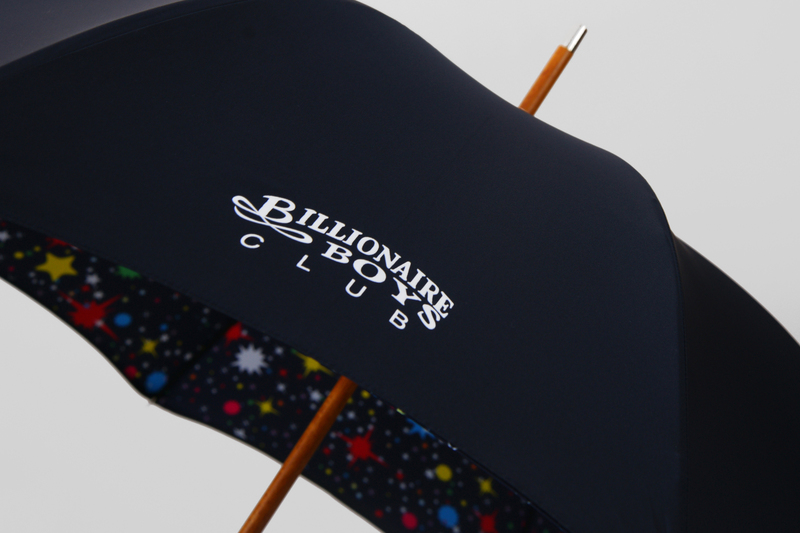 Hand Made in London, England, the Umbrella also features BBC's Wealth Mantra etched onto the Tip Cup & BBC logo on one exterior panel. 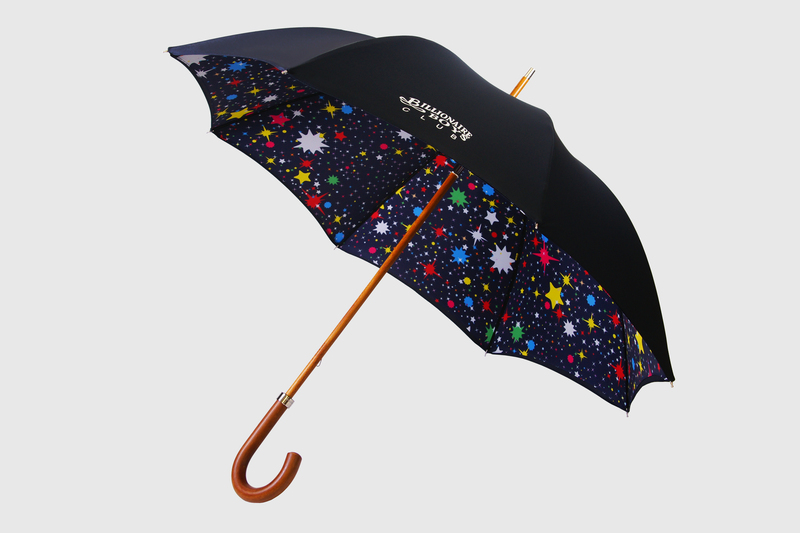 The London Undercover x Billionaire Boys Club Umbrella launches online on 22nd November 2016 at 11am. It will be available to buy in store at London Undercover Spitalfields & BBC stores in London, New York & Tokyo.